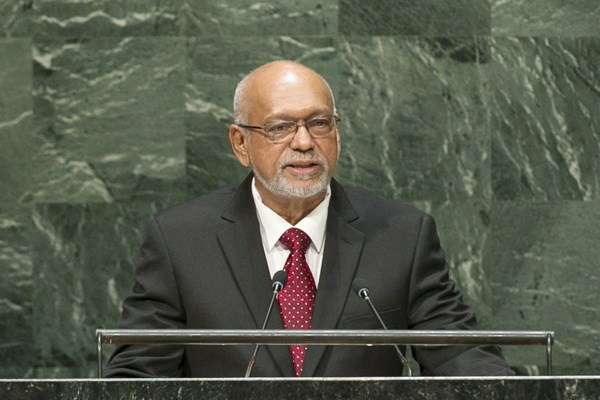 Guyana President Donald Rabindranauth Ramotar addresses the general debate of the 69th session of the U.N. General Assembly, New York, Sept. 26, 2014 (U.N. photo by Amanda Voisard). Last month, Guyana was plunged into political crisis after President Donald Romator suspended parliament to avoid a no-confidence vote. In an email interview, George Danns, professor of sociology at the University of North Georgia, discussed Guyana’s domestic politics.